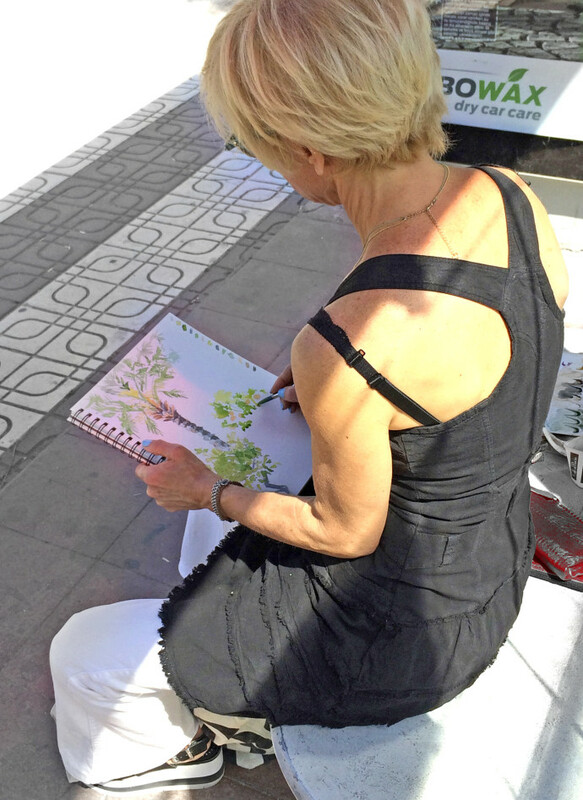 I’ve just completed another month working for Celebrity Cruises, this time teaching watercolor aboard the Celebrity Reflection. 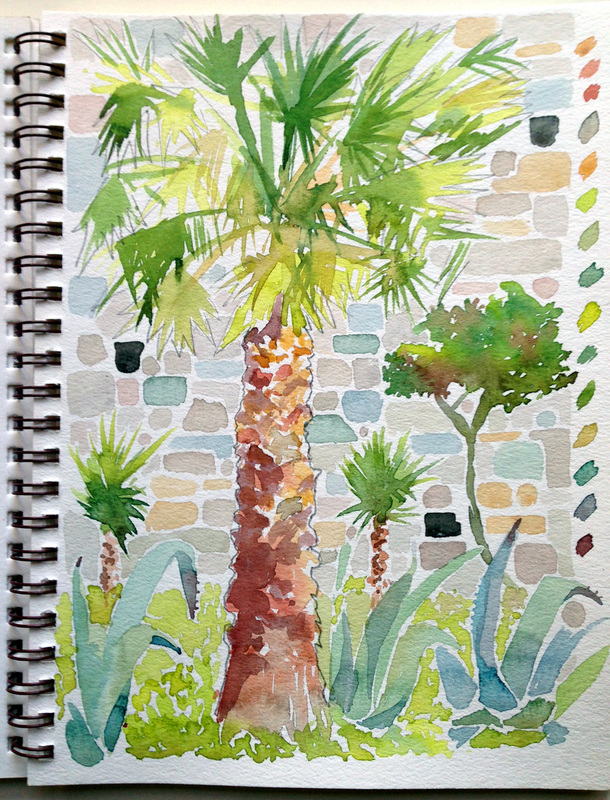 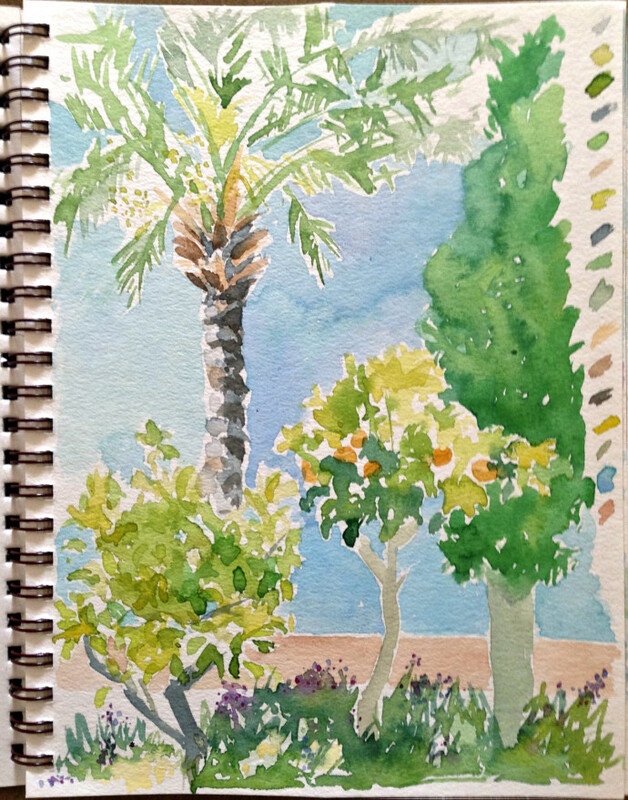 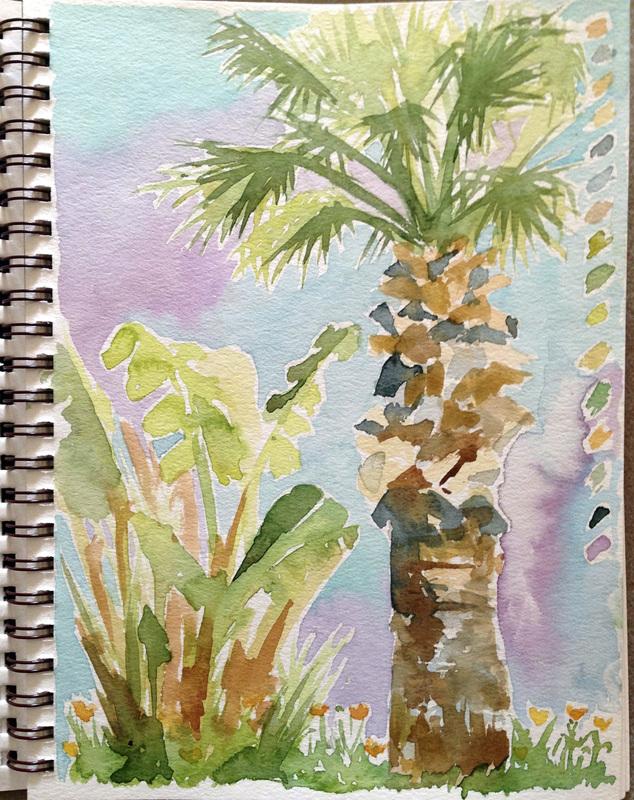 Beyond the classroom, traveling from port to port, my love affair with palm trees deepened, and palms took center stage once again in my sketch books. 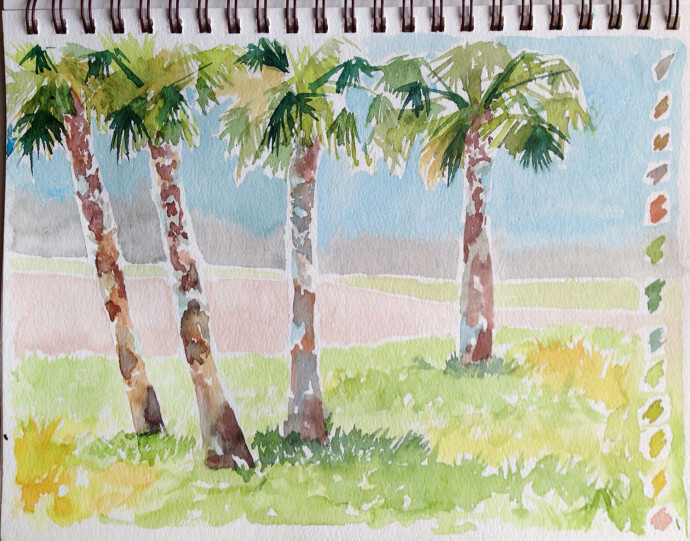 The painting above is the first I made after eight days at sea. 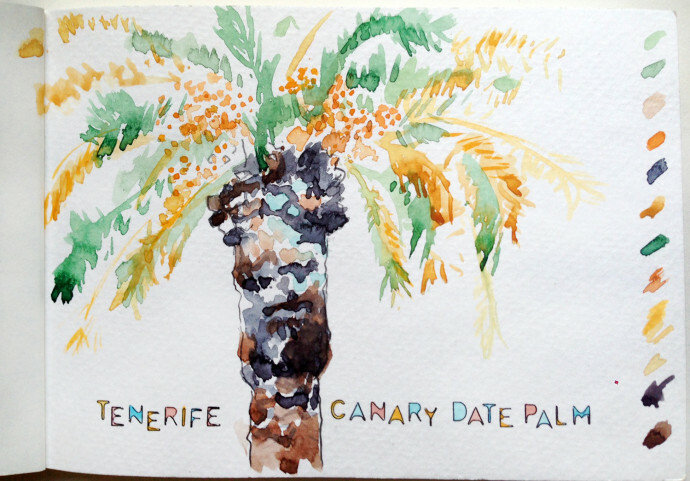 It’s always a rush to step onto land after so many days on the Atlantic…seeing so many gorgeous Canary Date Palms on an actual Canary Island was almost too much. After Tenerife, the journey continued to ports in Southern Spain, France, Italy, Turkey, and Greece, until finally we ended in Rome for five dreamy days of painting, walking, and of course, eating.